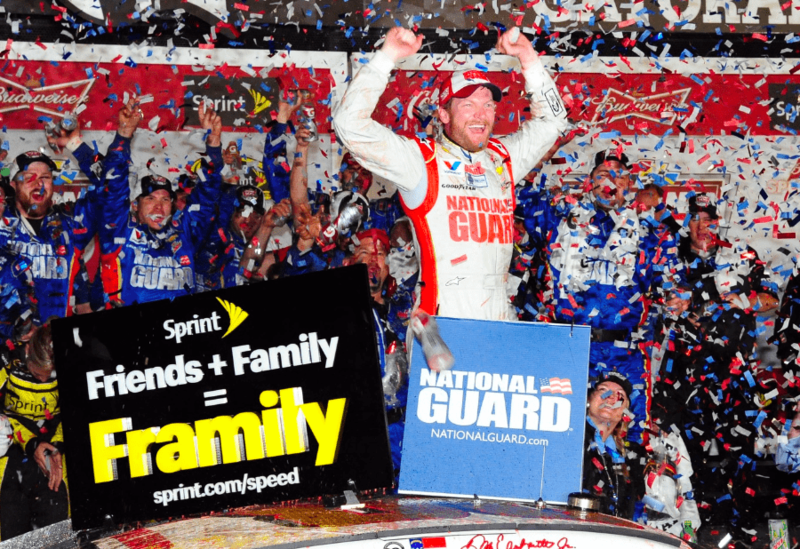 It took nearly an entire day and night to complete, but in the end, it was all worth it for Dale Earnhardt Jr. Earnhardt raced to his second Daytona 500 win of his career on Sunday, edging out Denny Hamlin. Not only did he get to celebrate in victory lane, but he also added a big paycheck to his bank account. The total purse for the winning driver this year was $1,506,363, which is slightly less than the $1,525,275 Jimmie Johnson earned in 2013. Despite the winning driver’s payday being less than last year’s, the overall payout for the race set a record at $19,784,864, according to SB Nation. Hamlin also earned over $1 million in prize money for his second place finish. Drivers who finished No. 5 or better all earned greater than $500,000 for the day.